Especially if you have a fresh tattoo, it is essential that you take care of it with a so-called tattoo cream. Since the tattoo is like a fresh wound, it must be treated with this special tattoo cream so that the healing process is also promoted. There is a variety of tattoo creams on the market to choose from. First of all there is the so-called Vaseline, which is probably the easiest care product for a fresh tattoo. 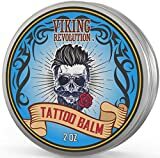 It should be noted, however, that Vaseline is best used only by people who already have some tattoos and therefore already know how to care for the tattoo. When used, it has the particular advantage that it keeps the skin and tattoo supple due to its high moisture content. A great advantage of Vaseline is that it does not cause any allergic reactions. However, care must be taken that it is not applied so thickly and that it does not support wound healing, so that really only “professionals” can be advised to use it on his fresh tattoo. One should rather use a tattoo cream which concentrates at the same time on wound healing. The most popular tattoo cream used is Bepanthen. It has the special advantage that it not only keeps the tattoo supple, but also promotes wound healing. The ingredient dexpanthenol is responsible for the formation of moisture and supports the suppleness of the skin. It is also responsible for the healing of the skin. However, care should be taken that Bepanthen does not use the normal skin lotion, but the wound and healing ointment. This is the only way to ensure optimal wound healing. The wound and healing ointment of Bepanthen can be purchased in the pharmacy. Besides the above mentioned tattoo creams there is also the special Pegasus cream, which is very similar to a panthenol ointment. 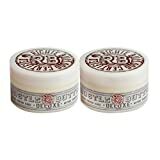 This cream also has the advantage that it keeps the tattoo very moist and promotes wound healing. At the same time there is also the special Tattoo Goo cream, which has the advantages of a wound and healing ointment. It keeps the skin supple and promotes wound healing. The special creams can be purchased in the tattoo studio of your choice or on the Internet. Even though the tattoo must always be kept moist, you should be careful not to apply too much tattoo cream, as this would soften the tattoo too much. Therefore, the following should always be observed: The fresh tattoo must always be kept moist, but it must not be “washed up” by too much cream. The task of a tattoo cream is to keep the fresh tattoo moist and promote wound healing. If you don’t care for the tattoo with a tattoo cream, it can happen that something of the color “breaks out” of the tattoo, so that much more needs to be repainted. In addition, it has the advantage that wound healing is promoted. The tattoo cream is only detrimental if you use too much of the tattoo cream. If you follow the instructions of your tattoo studio, you will surely enjoy the tattoo for a very long time to come. Exclusive Tattoo After Care product for INK MASTERS- watch out 100th episode on CBS. Slow infused with organic herbs and love. Helps tattoos heal faster. Keep petroleum off your tattoo, your skin, and out of your body. Herbal Infused, Synthetic Free, Small batch. Ora's Amazing Herbal is a small family business that is environmentally, socially, and ethically responsible. No lanolin, aloe, parabens, mineral oil, synthetic fragrances, wheat, grain, gluten, dyes. 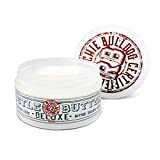 Continue to use as needed after tattoo has healed to help keep skin healthy and tattoo fresh, and for everyday scrapes bumps minor burns and bruises.